Are you tired of those pesky little lines and wrinkles around your eyes, lips, or forehead? If so, Botox might be an excellent option for you. Botox is a non-surgical injection that blocks the signals between the muscles and nerves. The result is a more refined and smooth appearance. Botox is particularly effective on wrinkles that haven’t completely set yet, like the “dynamic wrinkles” that appear when you smile or frown. Injections can last up to four months, but with regular treatments, the muscles will be trained to contract less. Over time, you will need fewer injections to maintain the smooth appearance of your skin. As with any surgical or non-surgical cosmetic treatment, it is wise to be aware of the side effects as well as benefits. In the case of Botox, temporary bruising is normal and expected. In rare cases, a 24-48 an hour headache or drooping eyelid may develop. These are both temporary conditions. If you do experience a drooping eyelid, this means the Botox is moving around, so be sure not to rub the area. Also, do not lie down for one hour after your treatment. 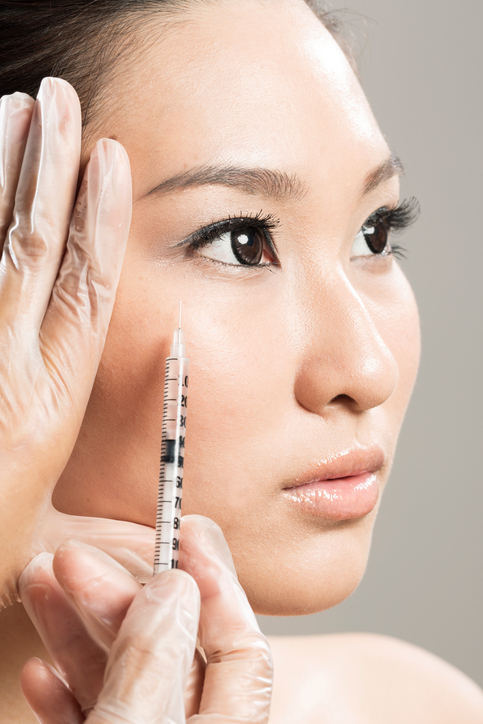 If you are considering getting Botox injections, you likely have some questions. Schedule an appointment with Dr. Benjamin Lam so you can see if Botox fits your needs and will accomplish your aesthetic goals. It is important to know that Botox cannot diminish all wrinkles. Wrinkles and facial creases that develop due to smoking, gravity, or sun damage cannot be reduced with Botox injections because they were not created by muscle contractions. During your consultation, discuss your expectations with Dr. Lam to be certain you have a clear understanding of what Botox can do to enhance your appearance. If you choose to get a Botox treatment, you will need to avoid alcohol, anti-inflammatory medications, and aspirin for a few weeks before your procedure. To schedule your consultation, contact Dr. Benjamin Lam at 855-702-8600. In addition to Botox, we offer a wide variety of services including breast reconstruction, thigh lifts, and liposuction.